27-Year-Old Lauderhill Man Killed In Rear End Collision | Schuler, Halvorson, Weisser, Zoeller & Overbeck P.A. A man in his late twenties was killed in a rear end collision along Interstate 95 in West Palm Beach. According to reports from the Florida Highway Patrol, a 27-year-old man from Lauderhill died in a crash. 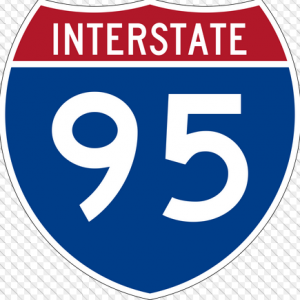 The accident happened on Interstate 95. Emergency services were at the scene of the crash that left debris on the southbound shoulder of Interstate 95. Authorities say the victim of the fatal crash was driving a 2015 Kia Optima on the southbound lane of interstate 95 when he pulled to a stop on the right shoulder of the road just north of Okeechobee Boulevard. A 2012 Infinity Q50 which was approaching on the southbound lane drifted out of its lane and crashed into the rear of the Kia, spinning the vehicle in the opposite direction. The driver of the Kia sustained serious injuries in the crash, and was rushed to St. Mary’s Hospital where he succumbed to his injuries. A front seat passenger in his car, a 31-year-old from Fort Lauderdale, was not hurt in the crash. The driver of the Infinity , a 26-year-old man, also sustained minor injuries in the crash. No information has been given to explain why the Infinity drifted out of its lane. The Florida Highway Patrol is still conducting an investigation into the crash.